For the last 15 years the Fitness Machine, based in Whitby, has gained a reputation for providing quality, affordable training in a clean and friendly environment. Its wide range of cardiovascular machines, free weights and resistance equipment caters for everyone from the dedicated weight trainer to the casual fitness enthusiast. From enthusiastic youngsters to those getting on in years simply looking to improve mobility and health, everyone is welcome. 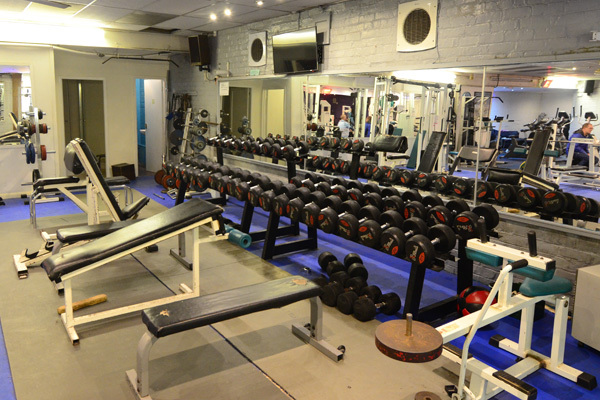 Owners Claire Fowler and Ian Carr, who took over the gym in July 2010 after working there since its inception believe the most important aspect is making everyone feel welcome whether they are regulars or casual day visitors. With over 25 years experience between them in the fitness industry, Claire and Ian have gained a vast knowledge of all aspects of training and exercise. Claire, a competitive distance runner and triathlete has a great passion for encouraging complete novices to take up running on a social and competitive basis. Her enthusiasm has no bounds. Ian has worked as a Sports Therapist for 15 years advising and treating clients who have sustained sports and work related injuries. He runs a clinic from the premises available to members and the general public alike. Fitness Machine is not just a great place to train, it is a great place to socialise and make friends. It is 'The Friendly Gym'.